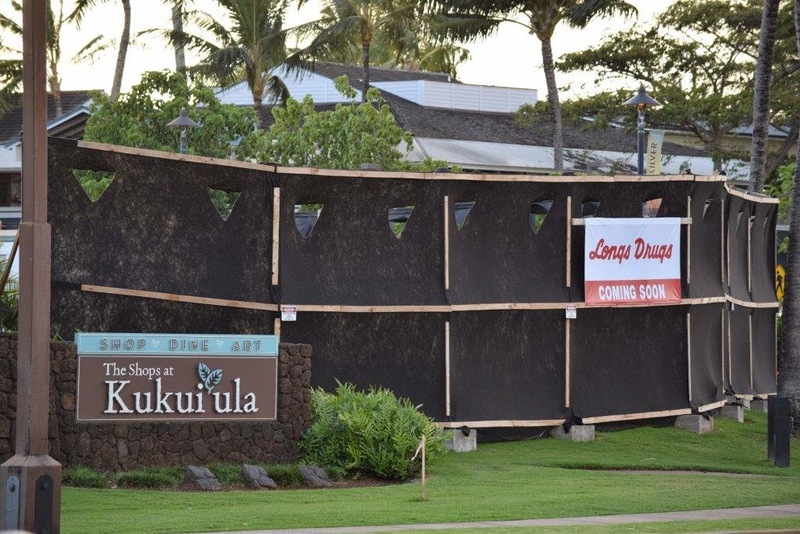 Longs Drugs store is projected to open in mid October 2015 at The Shops at Kukui'ula. Other corporate businessess are making it's way to the south shore of Kauai. Sueoka's in Koloa town will eventually operate under the ownership of ABC stores. Menehune Mart in Lawai has turned over it's operations to 7 Eleven. Many mom and pop stores on Kauai are obviously not interested or unable to proceed forward into Kauai's future. How and will that change the character of the island?